Largest migration ever seen in Israel as millions of 'painted lady' butterflies make their way through Israel to breeding grounds in Europe. Millions of butterflies are blanketing Israel during their annual migration to Europe. Up to a billion butterflies known as Vanessa cardui or painted lady, are passing through Israel in search of food on their way to their breeding grounds in Europe. 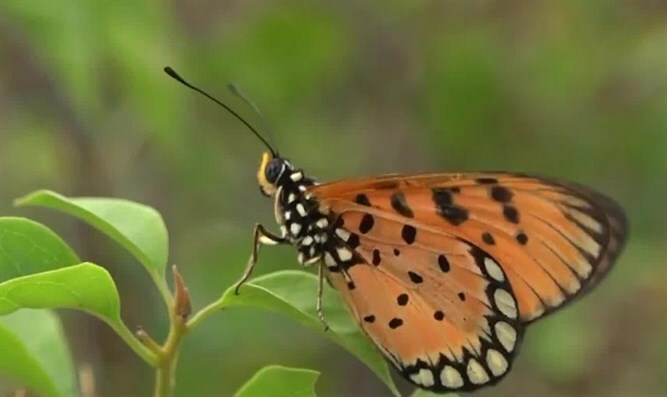 They have been spotted in large numbers in the southern Arava region, across the Sharon Valley, and through major city centers up to the Carmel Mountain range, Israel Hayom reported citing the Association of Butterflies in Israel.